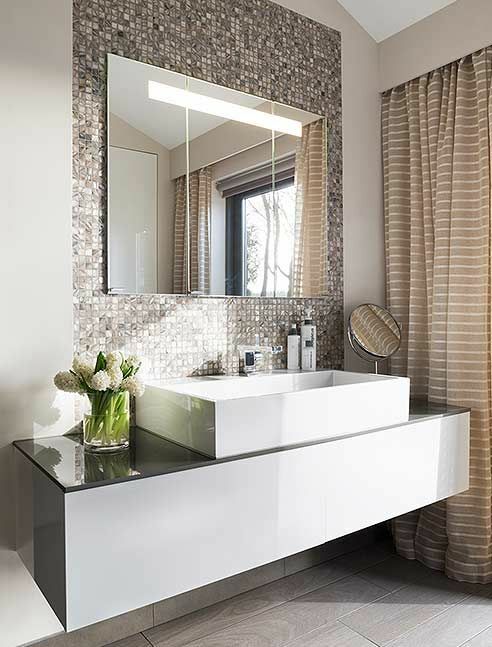 A bathroom is an oasis of purity, where you can relax after a long day and wash off all the problems and cares. 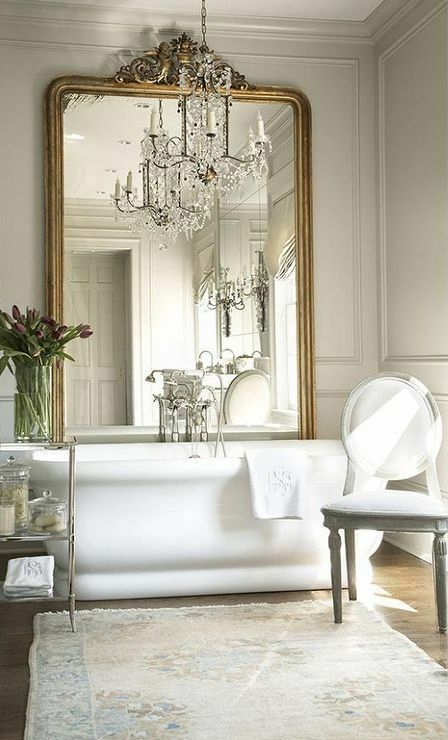 That’s why its decor and design is important, it should be comfortable and very relaxing. 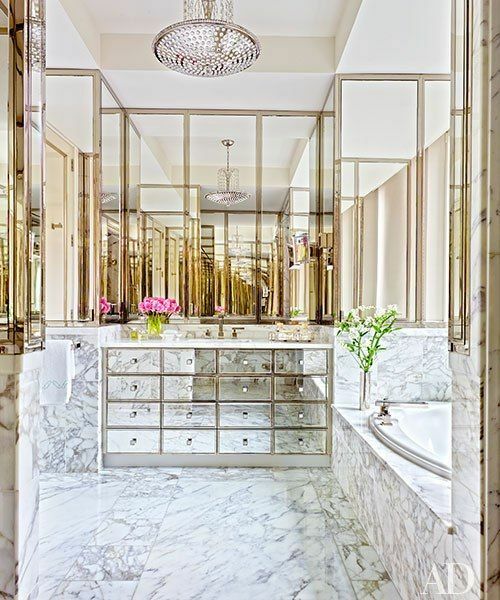 If you love luxury and glam, you can design a gorgeous glam bathroom, which will make you feel a queen/king every time you enter it. 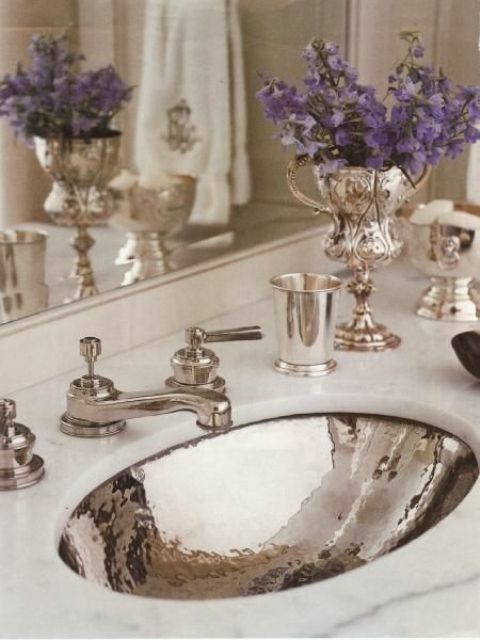 Besides, if you love posting pics on Instagram, such a bathroom will attract attention for sure! 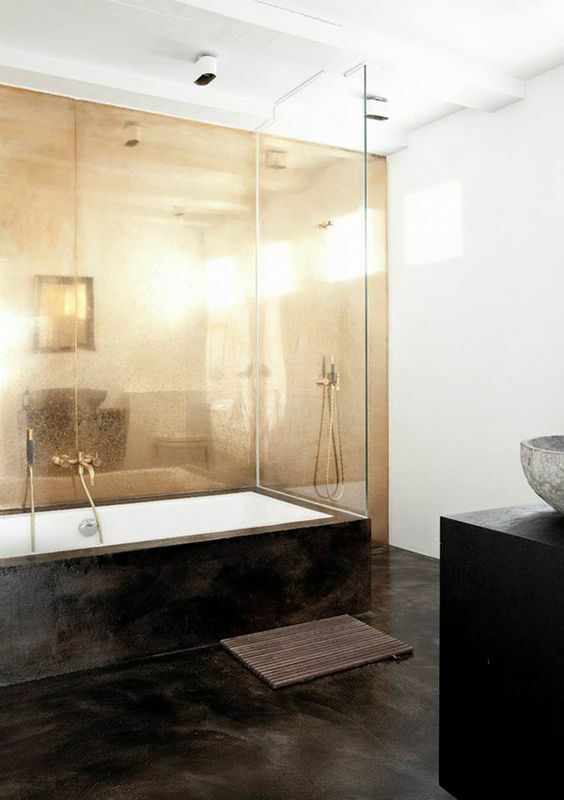 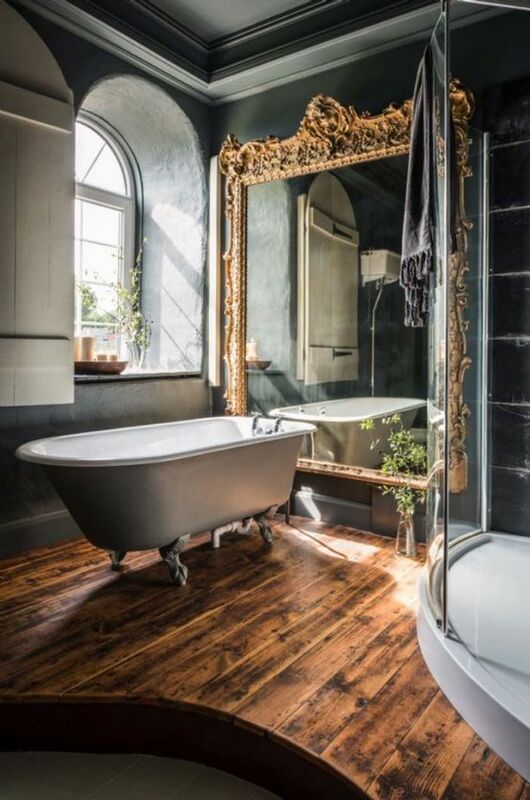 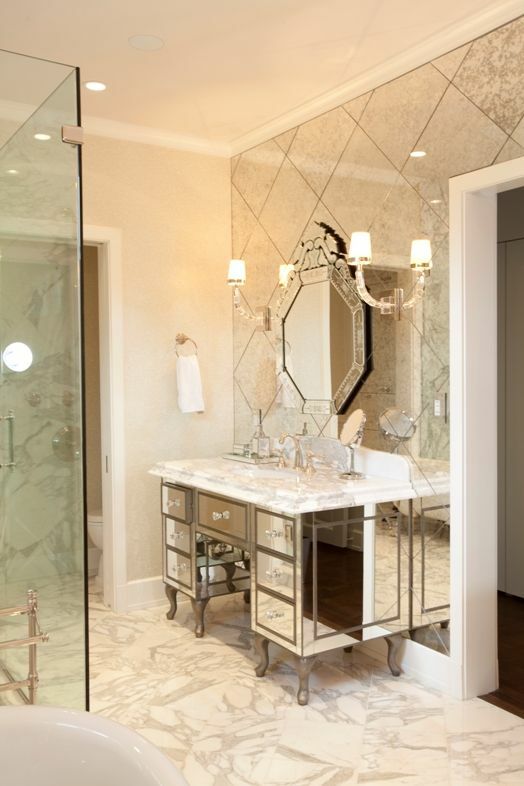 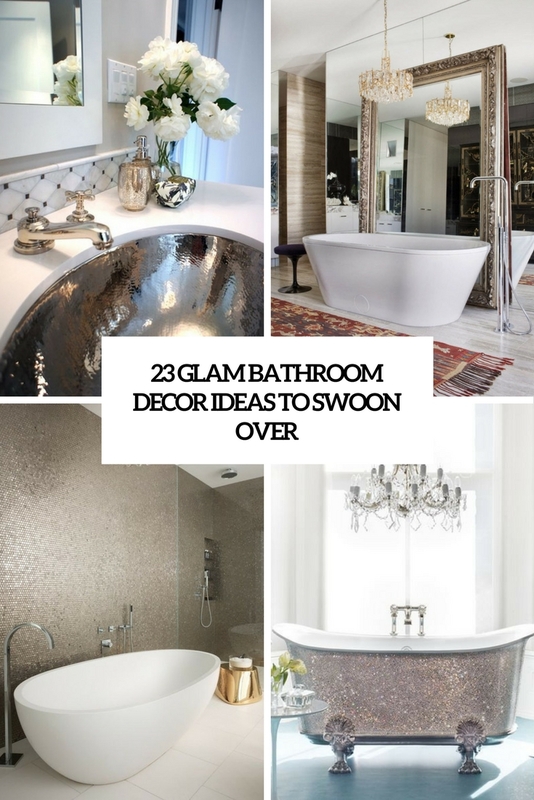 Let’s see how you can make your bathroom glam and luxurious. 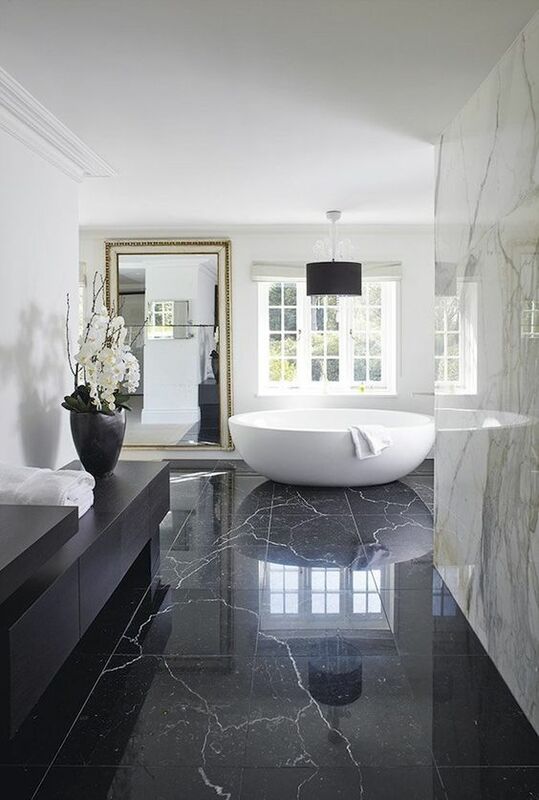 There can’t be any other as glam and luxurious material for covering walls and floors as marble – whether it’s black, white, grey or any other. 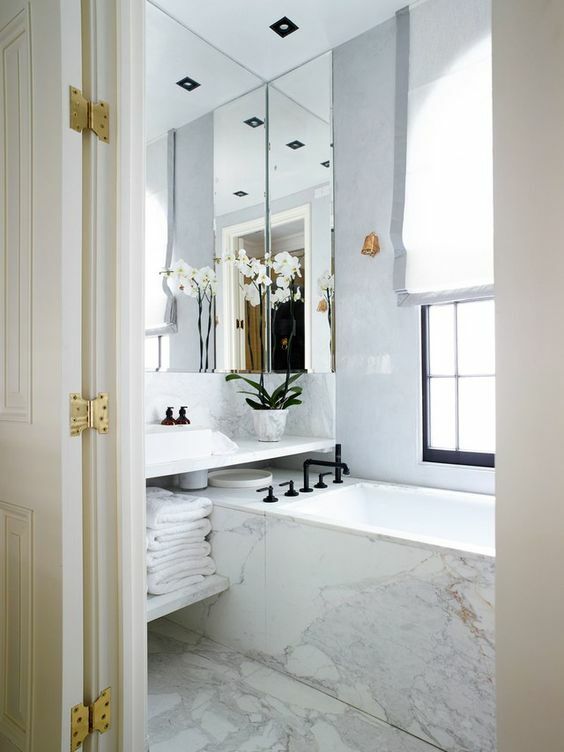 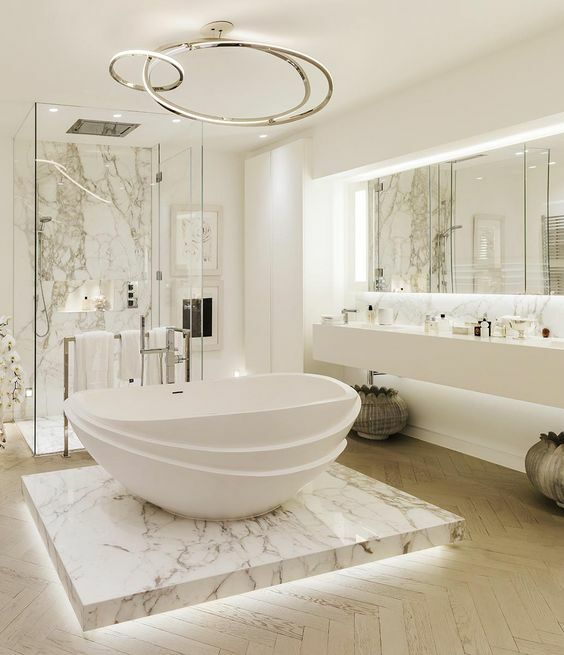 You can cover the whole bathroom with the same marble, or go for dark-colored marble on the floor and light-colored on the walls, and even a marble platform for your bathtub is a chic idea. 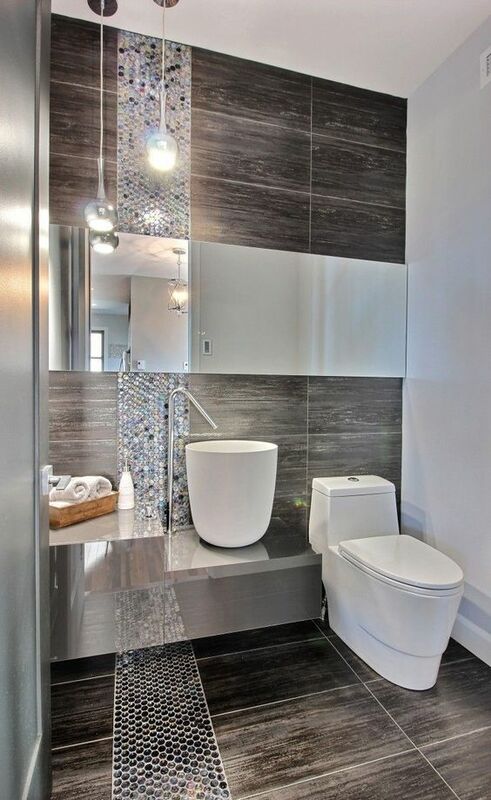 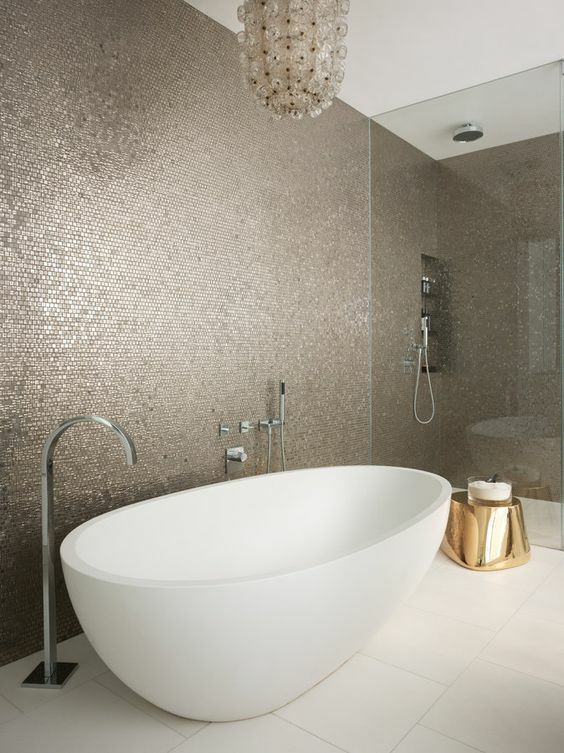 Another idea is rocking a shiny wall, it can be a penny tile statement wall or just a part of it – to accentuate the bathtub, shower or the sink. 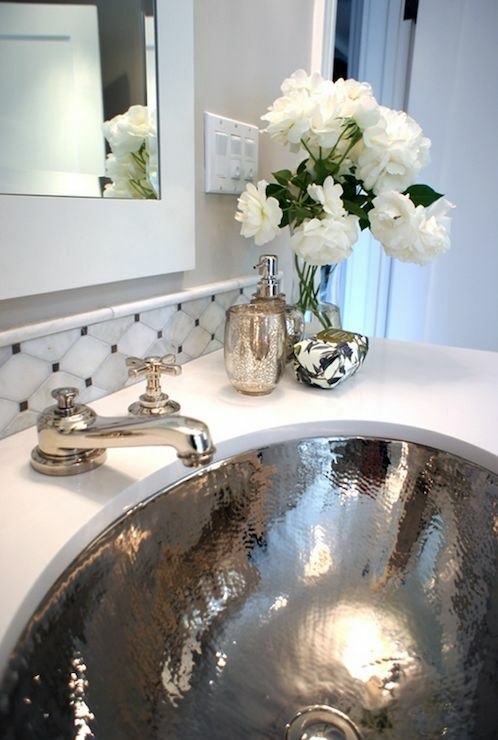 There’s a large variety of different shiny tiles, so you’ll easily choose something. 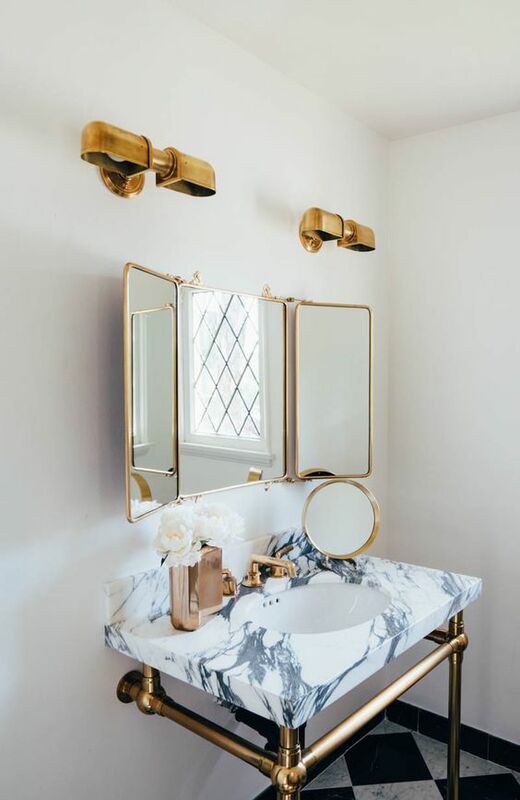 Mirrors are an indispensable part of any glam interior, and hanging a large mirror or placing it on the floor is a great idea to add a glam feel to even a usual bathroom. 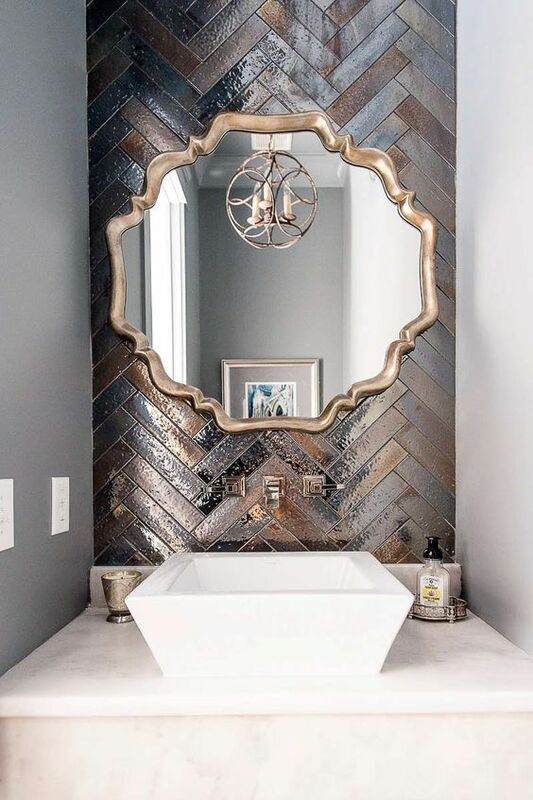 Choose an oversized mirror in a refined vintage frame, or dare to make a mirror wall and add a large mirror to emphasize the effect produced. 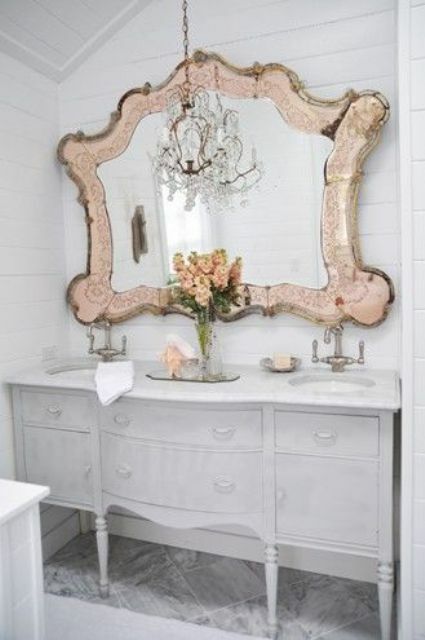 You can also try mirrored furniture, for example, a vanity, and it will make your space more shiny. 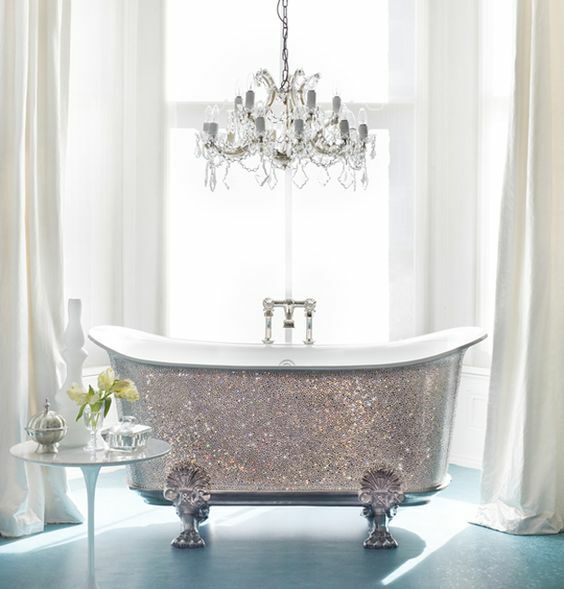 A bathtub and a sink is a must for every bathroom, and choose them carefully to match the glam space. 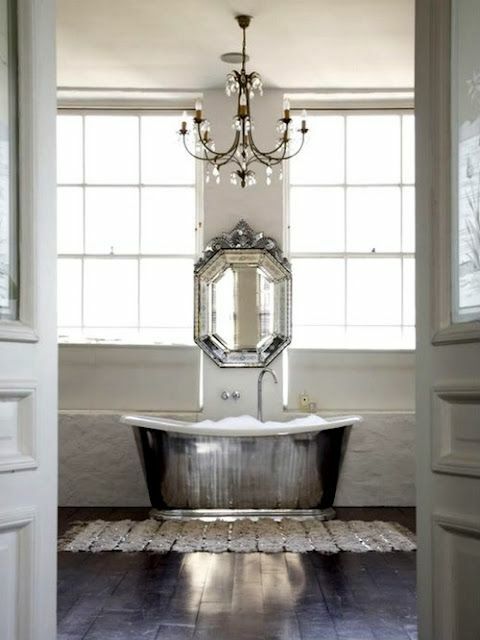 As for bathtubs, we recommend clawfoot ones and just free-standing bathtubs. 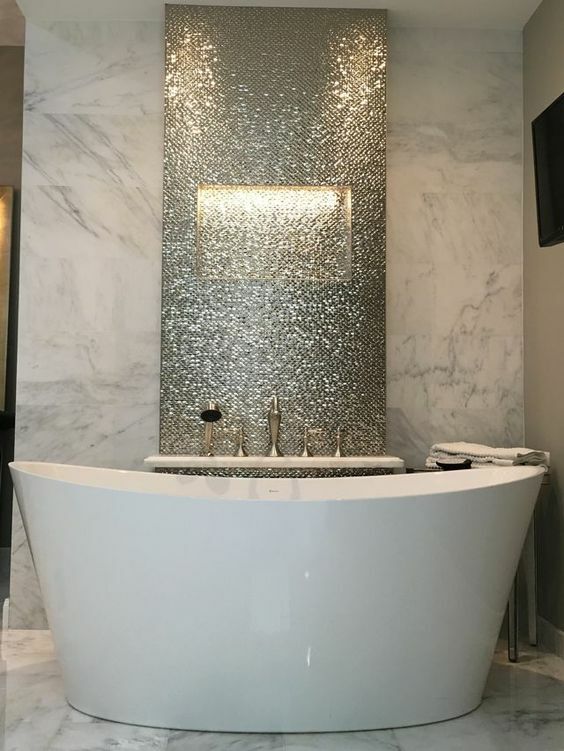 You can find cool shiny metal and even sparkling bathtubs to make your space super glam but actually it’s not necessary if you want a modern glam space – just a free-standing oval bathtub in white will be enough. 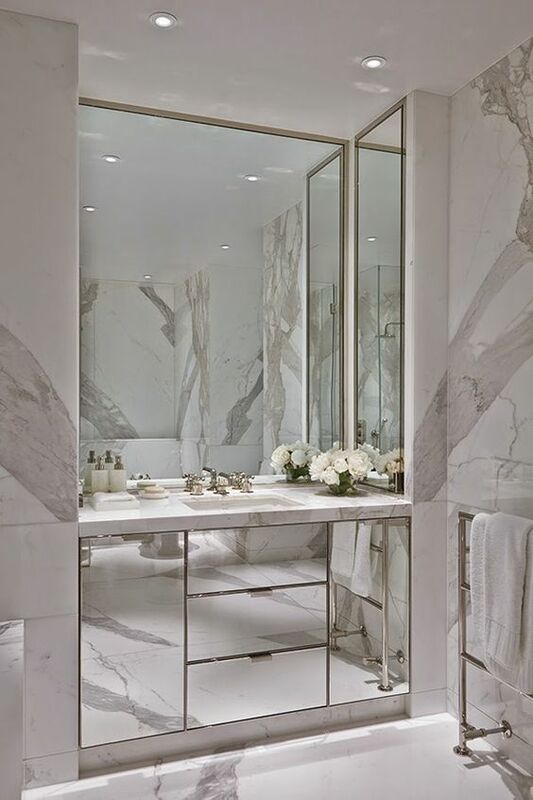 As for vanities, choose marble ones, chic metallic ones and of course mirror ones, and you can find shiny metal sinks to complete the look. 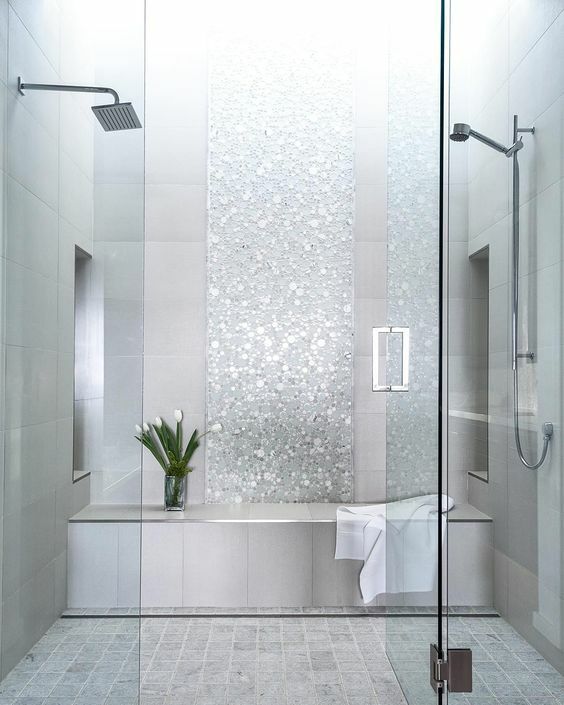 Now enjoy the pictures below!